**Updated Thursday, November 12, 2015 at 11:18am. Although 2015 is not a national election year, Tuesday, November 3rd was Election Day in the United States, where non-federal candidates vied for several state and municipal seats. National attention was focused on marquee races for Kentucky Governor and control for the Virginia legislature, but Armenian Americans were watching smaller contests on the East Coast. There were eight Armenian Americans on the ballot in the 2015 U.S. elections, one each in Florida, Maine, and Virginia, and five in New Jersey. Beginning in the Sunshine State, Mark Samuelian was running for Miami Beach City Commissioner in Group VI, a non-partisan seat. Samuelian, originally from Boston, MA, ran a solid, grassroots campaign but fell just 77 votes short of victory. The Miami Herald recommended Samuelian, however, Florida Armenians withheld their endorsement. “It is telling when an Armenian American candidate fails to win the endorsement of the state’s largest Armenian American organization,” stated Florida Armenians Public Affairs Director Arsine Kaloustian. “We wish Mark the best of luck in his future endeavors,” Kaloustian said. At the opposite end of Interstate-95, the Pine Tree State had a more well-known candidate on the ballot. Lawyer and author of “Nowhere, A Story of Exile,” Anna Astvatsaturian Turcotte ran a successful campaign as a Democrat for Westbrook City Council Ward III. “As a child, first coming to the U.S. as an Armenian refugee from Baku, Azerbaijan, I was always in awe of the American democratic process,” Turcotte said in an email statement to FLArmenians.com. “It inspired me to vote the very minute I could, becoming an American citizen at the age of 19. So, to actually run for office and garner 64% of the vote has been an incredibly meaningful and emotional process for me. I am very thankful to receive the people’s support and hope to make them proud in the years to come,” Turcotte said. With her decisive victory, Turcotte becomes the city’s youngest and only female councilman. She is also the first Armenian refugee from Azerbaijan to win an election in the United States. In the Garden State, five Armenian Americans were on the ballot in Bergen County, New Jersey. Haworth City Councilman Glenn Poosikian, the Democratic incumbent, was elected to his fourth term. Independent challenger Roger Tashjian was also elected to the Oradell City Council. In Old Tappan, John Shahdanian II won a seat on the City’s Board of Education. Unfortunately, Paramus Board of Education candidate Kohar Boyadjian and River Vale Board of Education candidate Dr. Armine Lulejian-Manookian were unsuccessful in their bids. Mooradian, Jr. ran an unsuccessful campaign for State Assembly District 27. This Richmond-based, safe-Republican seat is home to a large Armenian American community. However, the majority of Armenian Americans in Richmond are registered Republicans. While Mooradian won the endorsement of the Armenian American community of Richmond, the district’s demographics were too much for the young Mooradian to overcome. In total five out of nine Armenian American candidates on the ballot in 2015 won election, an 80% success rate. On the winning side, one incumbent retained his seat, while four challengers were successful. On the losing side were four political newcomers, but it’s too early to tell if they will seek office again in the future. *This article was updated to reflect the fact that the Miami Herald recommendation for Mark Samuelian is their equivalent of an endorsement. **This article was updated with Roy Zartarian’s election results. Every four years, the campaign for the highest office of the land takes place. As candidates from the Republican Party navigated the choppy waters of the primary storm this election season, one man sailed to victory: former Massachusetts Governor Mitt Romney. Winning the party’s nomination was no easy feat and on several occasions, the media and members of his own party, were quick to write him off. However, Mitt Romney and his campaign rose to the challenge, and secured the 1,190 Republican Party Delegates necessary to clinch the nomination. No doubt, the battles he faced in the primary contest will come in handy when he goes head-to-head with President Obama. Among these Republican Party Delegates, who are elected within their respective state party systems, were six Armenian-Americans. The States of Connecticut, Florida, Kentucky, Massachusetts, Michigan and Rhode Island were each represented by an official GOP Delegate of Armenian descent. 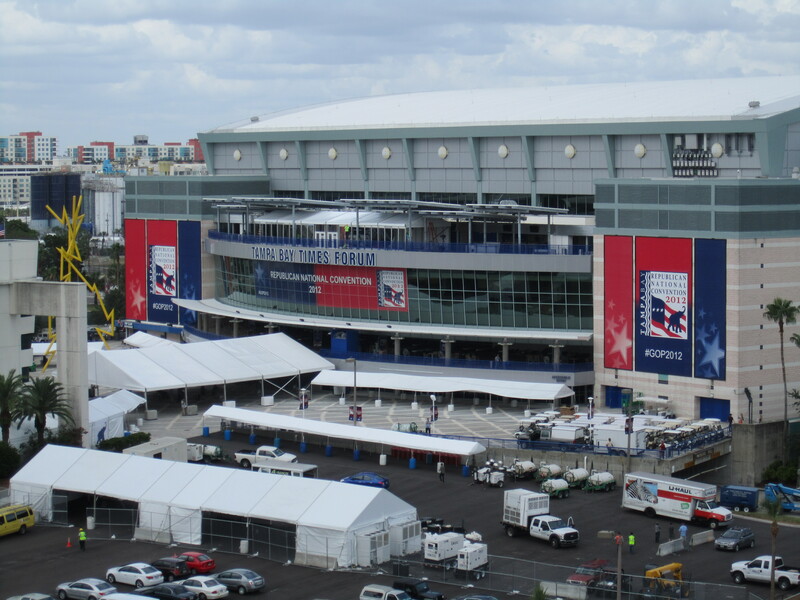 Harout Samra, an attorney in Miami said, “it was a privilege to attend the Republican National Convention as a delegate for Florida. Coming to the floor of the Convention hall for the first time was very exciting. Frankly, I did not expect to be as moved as I was. It was a great honor to have been selected to represent my fellow Floridians. That came home to me as I reached the floor. I genuinely enjoy interacting with people from different backgrounds. The United States is a remarkably diverse place, and I believe this diversity was represented not only in our delegation, but also in those of the other states. 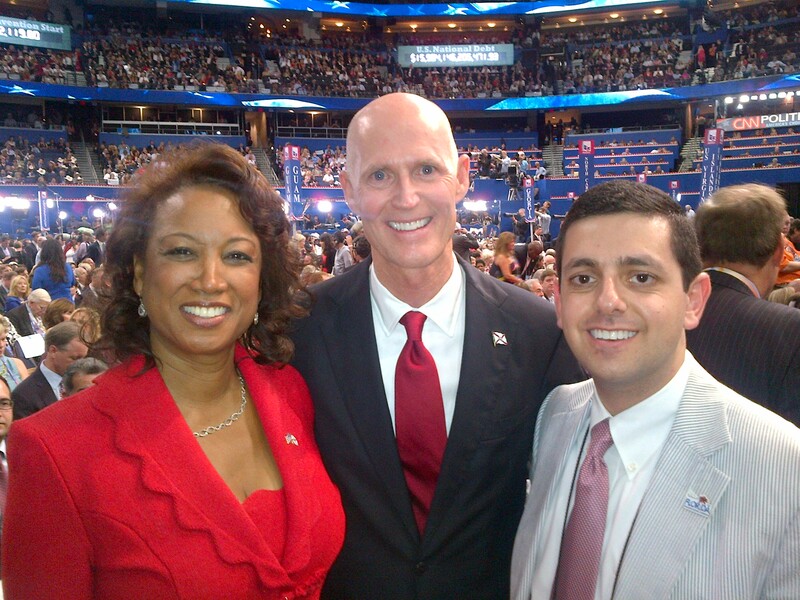 Florida’s delegation included first-generation Americans, such as myself, and longtime natives. It included Indian-Americans, Cuban-Americans, and even one Armenian-American. “Governor Romney knows and understands the issues that are important to Armenian-Americans. Living in Belmont and serving as the Governor of Massachusetts, he’s had more important contacts and relationships with the Armenian-American community than any President since Ronald Reagan. He will not mislead us and pander to us to get Armenian-American votes like President Obama. “Governor Romney is the right man for the moment. He understands how to turn around the economy at home and to ensure that America is respected abroad. Unlike President Obama, Governor Romney’s top priority will be to create an environment that leads to more jobs and spurs economic growth,” stated Samra. 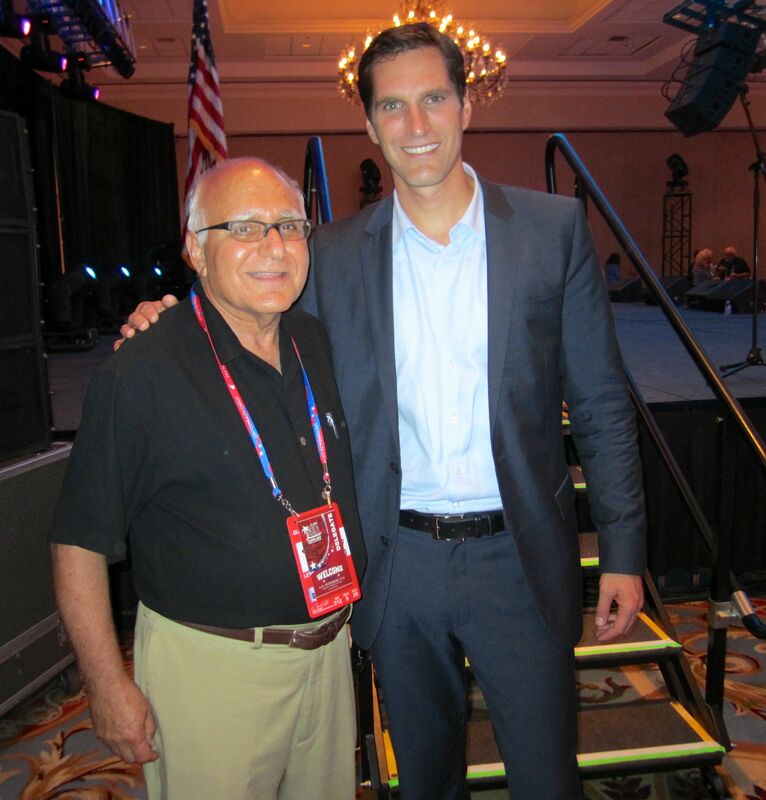 Another Republican Party Delegate, Bob Semonian, State Chairman of Massachusetts Republican Party-Ethnic Outreach expressed that he was “thrilled to attend the Republican National Convention in Tampa this year. Americans want honesty in the White House and Mitt Romney is an honest man who will best represent all of America,” stated Semonian, who also serves as the Armenian-Americans for Mitt Romney Coalition Massachusetts State Chair. From the Great Lakes State was Krista Haroutunian, who serves as the Republican Party Chair for the 13th Congressional District. She stated, “My time at the 2012 RNC was extremely important and made me proud to be American, an Armenian, and from Detroit, Michigan.” Haroutunian continued, “The first concern of an American, of whatever cultural or ethnic background, is the independence, freedom, and well-being of Americans. This allows us to be able to express concerns for Armenian issues and to assist appropriately. “Mr. Romney knows that the founding fathers of America had great concerns about dictatorial attitudes and insisted upon a separation of powers – something Mr. Obama has side-stepped for the better part of four years. Mr. Romney wants to return to a Constitutional government through our elected Representatives. Mr. Obama wants all-pervasive government with the decision makers being unelected bureaucrats. Over the course of this year, several Armenian-Americans across the country, including the author, have been challenged on our position of supporting Governor Romney over President Obama. “What do you expect from Romney that will be different from Obama,” is the common intrigue. To put it plainly, like all Americans, we expect leadership, honesty and values from our elected officials. When it comes to Armenian issues, President Obama failed to fulfill his campaign pledge to acknowledge the Armenian Genocide as President. That calls into question his honesty. President Obama’s nomination and subsequent recess appointment of Matthew Bryza to serve as Ambassador to Azerbaijan was opposed by Senators of his own party, not to mention many Armenian-Americans. That calls into question his ability to lead. And the silence of the Obama administration on the destruction, confiscation and profiteering of Christian Armenian religious properties by the Turkish Government, as well as Azerbaijan’s completed destruction of centuries-old Armenian Khachkars at Julfa, call into question his values. This article originally appeared in the October 13, Volume 13 Print Edition of the Armenian Mirror-Spectator.